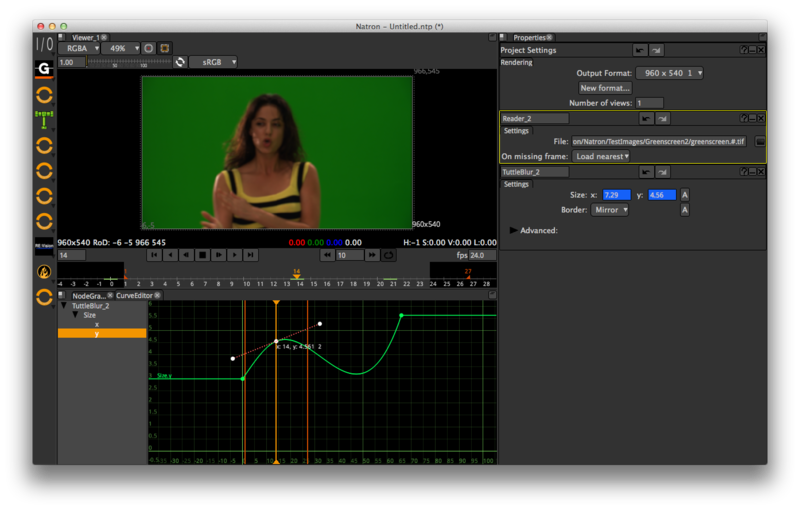 A new free compositor software has been released. I tried it and it’s very promising. More or less like Nuke, it has same shortcut/interface/way of working. It’s far more advanced than the Blender compositor in some ways. It supports OFX plugins which will newer be supported by Blender. Perfect combination to use with Blender renders, I’m really happy and quiet exciting to see this. The interface is really 100% Nuke-lookalike, even the icons ! Maybe too much like Nuke but it’s a very good interface. ButtleOFX is also a very good compositing software but not as advanced than Natron. Both are based on TuttleOFX, so I suppose that they are even compatible. I had several crashes this morning, hope the 1.0 will be release soon and fix that. I wonder if missing features like 3D view for render or particles will be implemented one day. The Deep data, python scripting and tracker node will be implemented in the next release. Hope to see that soon! BlenderNation has asked if there is anyone willing to write a review of this program. Just to let you know. Thanks Nick, where did you see that? I’m trying this right now! This is really nice, very stable, UI a bit more elegant and fast. Like it ! Yeah Natron is definitely the best free compositor out there. The dailybuild have already integrated python scripting, qt integrated custom panels, expression node. I’m really excited about this software, much more than the compositor of Blender unfortunately. The developers has decided to change the licence to GPL instead of MPL. The Mozilla Public License was a great licence for studios to integrate Natron in their tools… I hope it will not make Natron not adopted but I think GPL is the best choice anyway. There will be a double licence GPL/Commercial, a bit like Qt does. Python will probably be downgraded to the 2.7 version to be the same as the industry uses. Big changes for the 2.0 that should be out soon!